But what about the rest of us? It’s a simple truth that, in the United States, filing a lawsuit for copyright infringement is expensive. Even just sending an initial letter can cost thousands of dollars and a case with a quick settlement can still cost over $10,000. Those charges rise quickly when a case takes years to wind through the courts. When photographer Daniel Morel won a $1.2 judgment after a 5-year legal battle against AFP and Getty Images, his law firm had racked up some $2.5 million in legal costs. However, even though the jury had found AFP and Getty had willfully violated his copyright, the court refused to grant him attorneys fees. This left the law firm that worked with Morel with little hope of collecting on the more than 3,800 hours of work they had put into the case. This is bad news for both plaintiffs, who often can’t afford to file a lawsuit at all, as well as defendants, who are regularly targeted for hefty damages to justify the expenses. For many musicians and composers, this all means that legal recourse, even in clear cases of copyright infringement, may be out of reach. 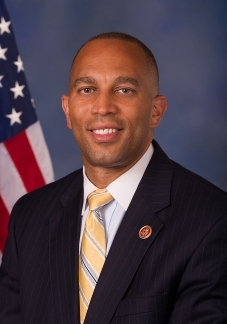 However, a new bill submitted by Representative Hakeem Jeffries (D-NY) hopes to at least ease some of those costs. Dubbed the Copyright Alternative in Small-Claims Enforcement (CASE) Act of 2016, it seeks to create a small claims court for copyright disputes.